Good morning from a cold and stormy spring day here in Hastings. Hopefully this will be the last storm of winter. I am a bit worried as I am in the Blossom Parade on Saturday, so it needs to warm. Anyway onto warmer days and this gorgeous tui. These photos were taken last week on the first day of spring. I was hoping to get some decent shots of our native birds. And this tui obliged. I knew they were around as it is now their mating season. I could definitely hear them. You can’t miss them. 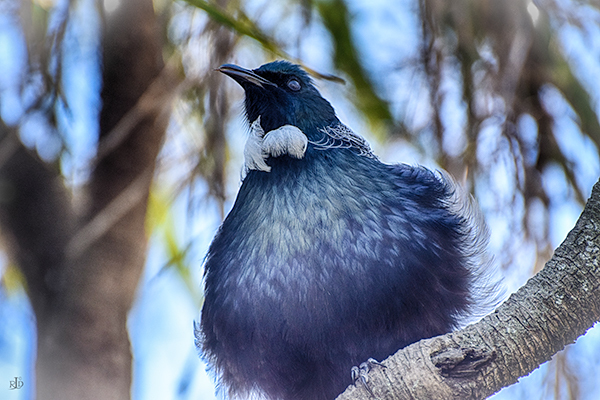 Anyway, after walking all around the park this tui came and sat on a branch just feet away and just posed for me. So close that I could get the details of it’s feathers. It is all fluffed up to impressed it’s mate. I was ecstatic. As you can imagine. Another entry for Cee’s challenge these past 3 weeks. I’m so excited to see this wonderful bird. Great pictures and so exciting. That bird is so majestic and regal. Were you afraid to get so close to it? I know some people are afraid of birds. The pictures came out great. Love your processing on these shots. Beautiful! Thanks Emilio. 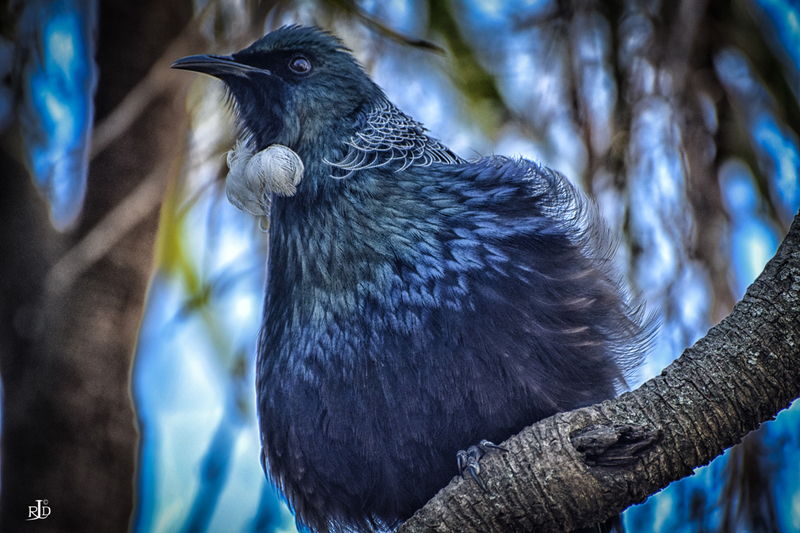 I was over the moon to get really close to this tui. I really wanted to show of it’s gorgeous colours. 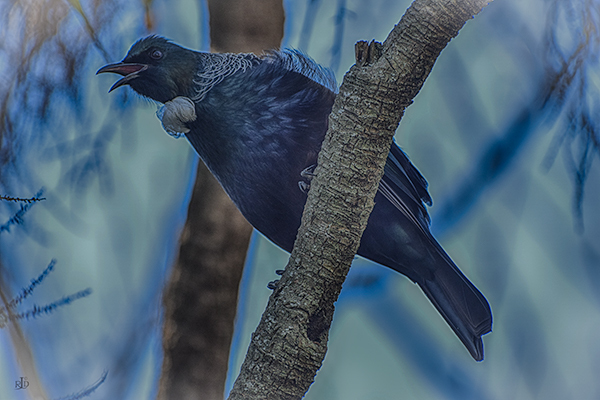 Hooray for your tui. The way it’s fluffed up impressed me, too, even though I’m not a potential mate. On my last morning in NZ I heard a tui outside of the place where I was staying.